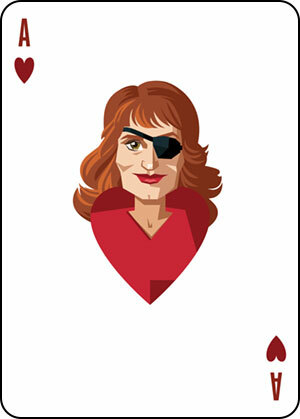 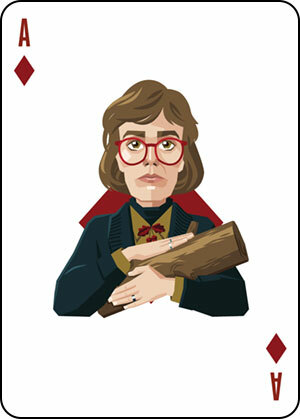 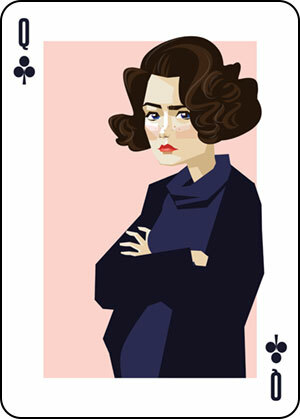 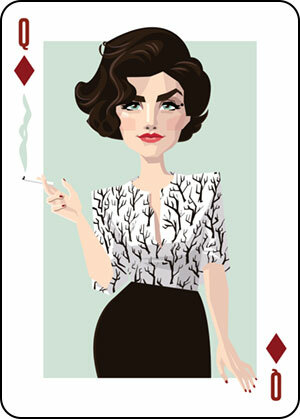 A deck of illustrated playing cards with art inspired by David Lynch’s Twin Peaks. 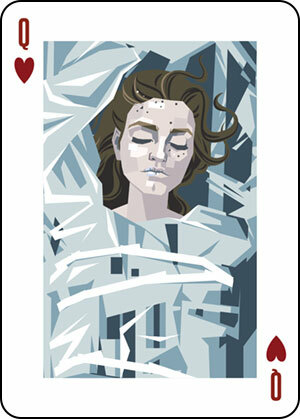 I’ve wanted to do a set of playing cards for a long time. 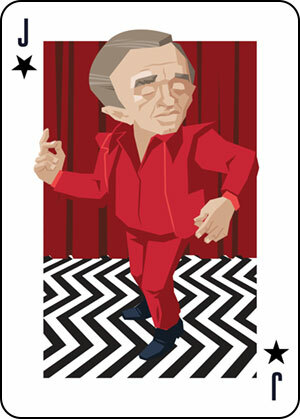 I re-watched Twin Peaks a few years back and there is the scene where Windom Earle plots to blow up the Miss Twin Peaks pageant and he has the playing cards with the faces of Donna, Shelly and Audrey. 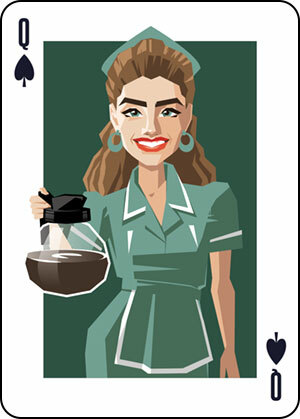 The symmetry of it just spoke to me. 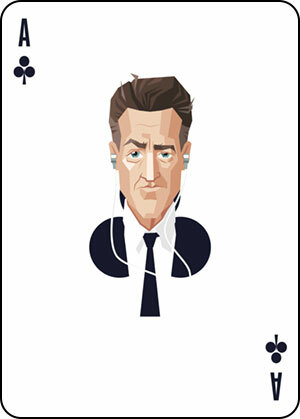 And the cast is so rich – there is no lack for good characters – actually I could have probably populated all the number cards as well. 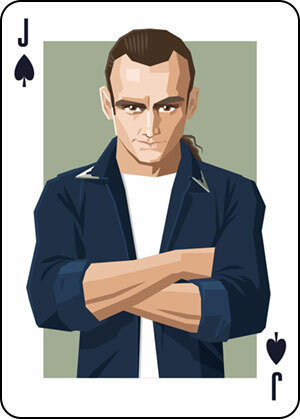 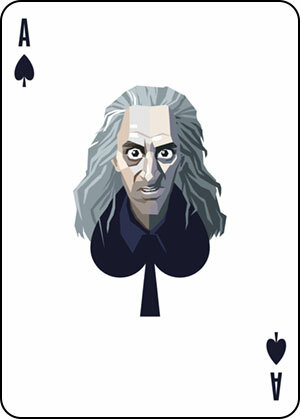 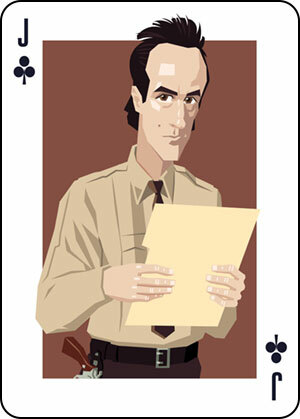 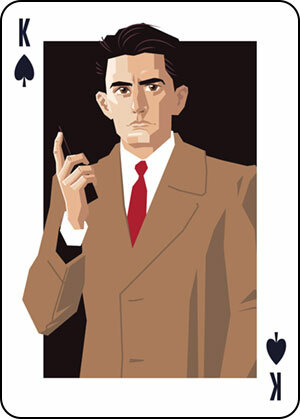 Special Agent Dale Cooper is the King of Spades. 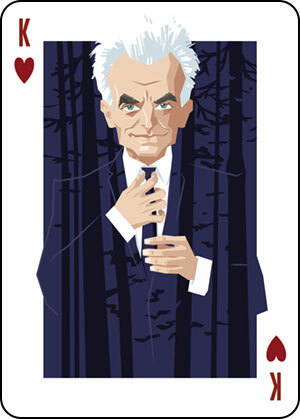 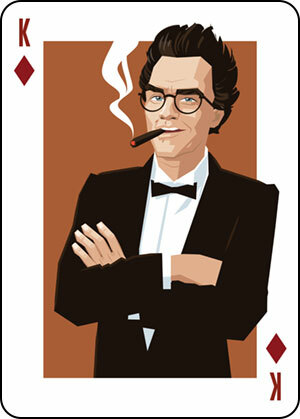 Leland Palmer is the King of Hearts. 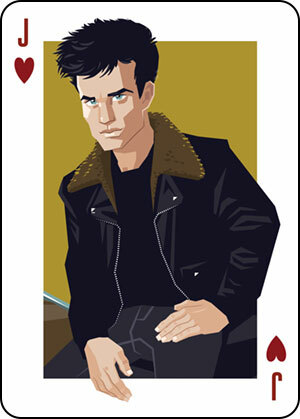 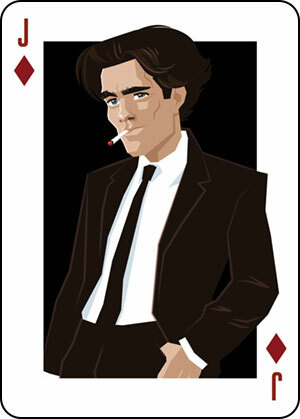 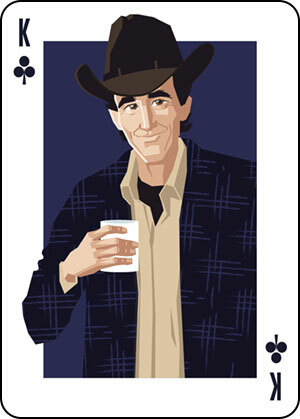 Bobby Briggs as the Jack of Diamonds. 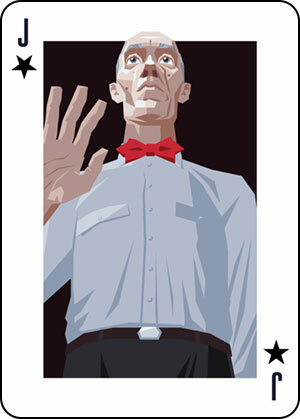 The Man from Another Place as the Joker.